Flowers Like Fireworks . 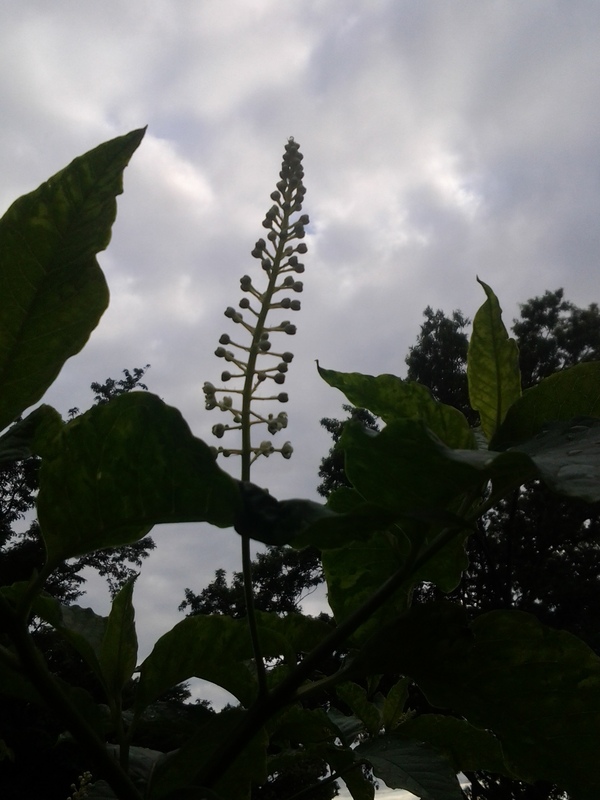 . .
American Pokeweed, Phytolacca americana, has begun to bloom in lush scattered patches in Riverside Park. The white flowers are displayed on racemes that resemble ascending rockets, or fireworks. This American native then makes an appropriate symbol for the holiday.